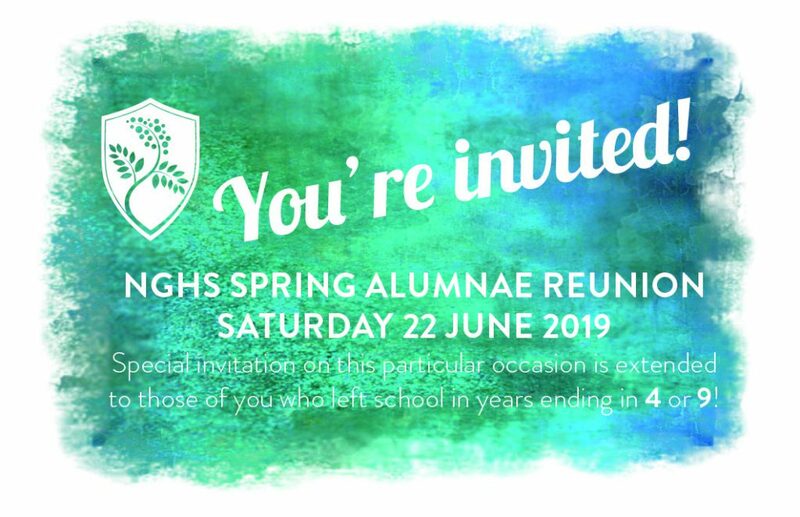 We love to hold reunion events here at school, and fundraising events for our various campaigns, but we’re also happy to support and promote events that our alumnae arrange amongst themselves. Please do contact us if you’d like to set something up, and we’ll do what we can to help. Unless otherwise stated, please contact the school for more details about any events listed below, and keep an eye on this page for updates. They say school days are the best days of your life, and time spent with friends is precious, so start planning, and watch this space for more information as and when we have any. We’re holding a Summer Fair on Friday 10 May and we’d love you to come along and join us. You’re welcome to come and enjoy the fun on the giant inflatables, the food and drink, the music and entertainment, or if you’d like to book a stall yourself for £10 or donate a raffle prize, that would be wonderful too. Just email friendsofNGHS@not.gdst.net for more details or call us on 0115 941 7663 and ask to speak to Sian Griffith. It’s going to be a great day! We had such a great time in London last year – our alumnae can’t always get to Nottingham so we have introduced London drinks too! 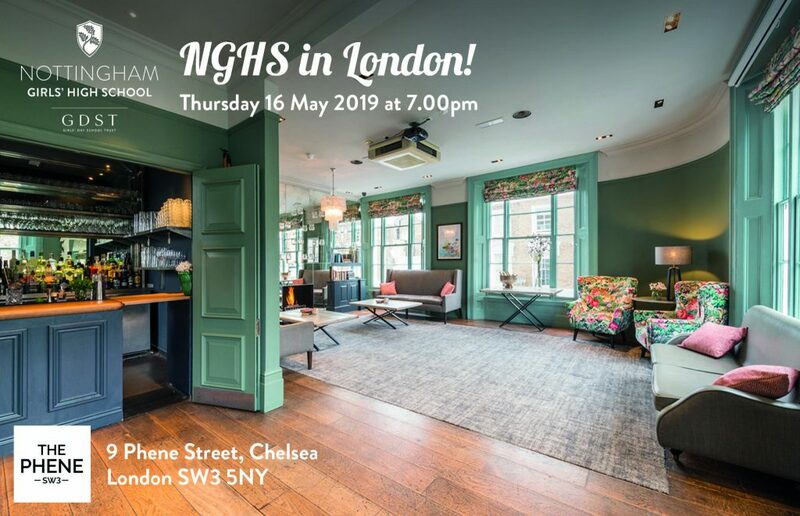 The next event is in Chelsea and more details, including booking, can be found by clicking on the image. We look forward to seeing lots of you there. Exciting news! The date is set for our annual Spring Lunch and reunion for alumnae and former staff. There will be the usual delicious lunch options, chances to have a good look around all of your favourite places and explore what’s new, and the opportunity to get involved in a netball tournament with some of our current girls. Round up your friends and book your places by clicking on the image. We look forward to welcoming you. You can keep up to date with all of our news on our Facebook page too!